Growing up in a family with two teachers, our summers were usually pretty epic, involving 2-week to 4-week road trips across the country. As a kid, I HATED the thought of packing up my bags and road tripping for weeks on end…camping throughout the way. Now, looking back, what my parents did for us was pretty cool and allowed us to see a lot of the United States on a budget. As an adult who only has 2 weeks of vacation a year (I mean, come on….a month should be minimum), trying to maximize vacations is hard to do. So, trying to see the entire country has to be broken down into different years and manipulation of schedules surrounded around cities to fly in and out of. One our longest vacations were our road trip out west. We started in Ohio and drove California and back. The drive to California took less than a week, but the trip back took much longer. Why? Because my parents wanted to show us a large section of the country and National Parks. We stopped at Joshua Tree, Petrified Forest, the Grand Canyon, Zion, Canyonlands, Arches, Capital Reef, Mesa Verde and the Rocky Mountains. I am sure I am forgetting some of the places we stayed and stopped, but the overall memories are still there. One of the stops, Mesa Verde National Park, was planned because my sister, who was maybe 9 at the time, had just studied the group of people that made the park their home, the Ancestral Puebloans. 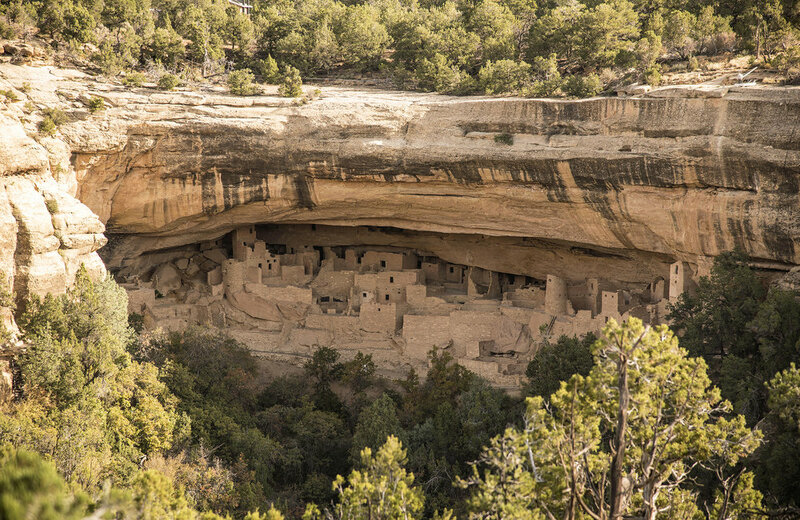 Mesa Verde National Park is also a UNESCO World Heritage Site and once you see it, you really cannot believe it is located in the United States! It includes the greatest concentration of ancestral Pueblo Indian dwellings, built between the 6th and 12th century. What’s really cool about the site is that they were all built into the side of a cliff. When I was there as a kid, all the sites were open, but because of safety concerns relating to rock falls, Spruce House is closed until a geotechnical assessment can be performed. 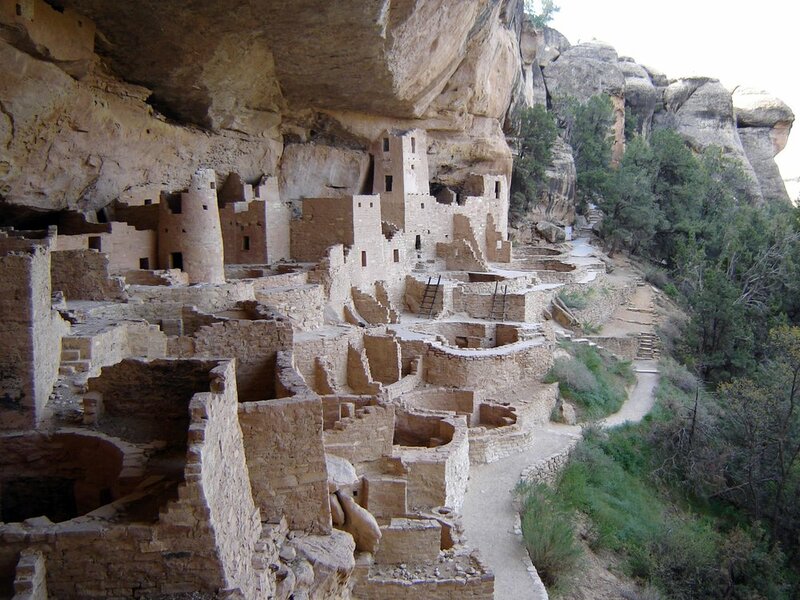 Mesa Verde is about 400 miles from Denver, Colorado and about 250 miles from Albuquerque, New Mexico. It resides in the bottom corner of Colorado, not far from the four corners (the point where Utah, Colorado, Arizona and New Mexico all meet). The road to Mesa Verde is steep, narrow and winding, so give yourself plenty of time to get there! Since the Spruce Tree House is closed, you will only be able to observe this best-preserved cliff dwelling from an overlook near the museum. It showcases the style and architecture used by the Pueblo Indians. There is also a loop road that will take you to additional structures, including the Square Tower House, Sun Point Overlook, and views of Cliff Palace. There is also a 1-mile round-trip path to see the Step House. All of these now require ticketed times, which you can get inside the visitors center. 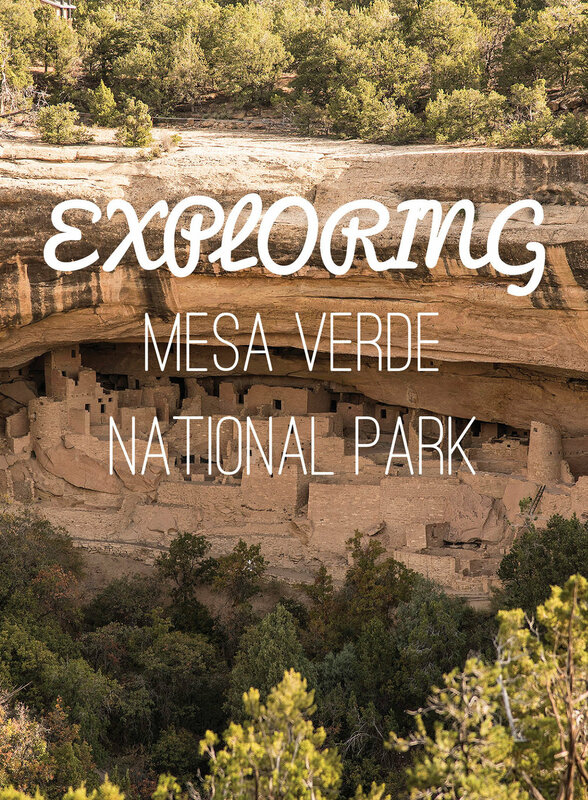 Overall, Mesa Verde is a great destination to stop at during your National Park tour out west, especially if you have a history buff, or middle school child in your party!